New River Community College employs a proficient team of support personnel to assist you with your copying and word processing needs. Please take advantage of the staff and equipment that NRCC provides to make your teaching more efficient. 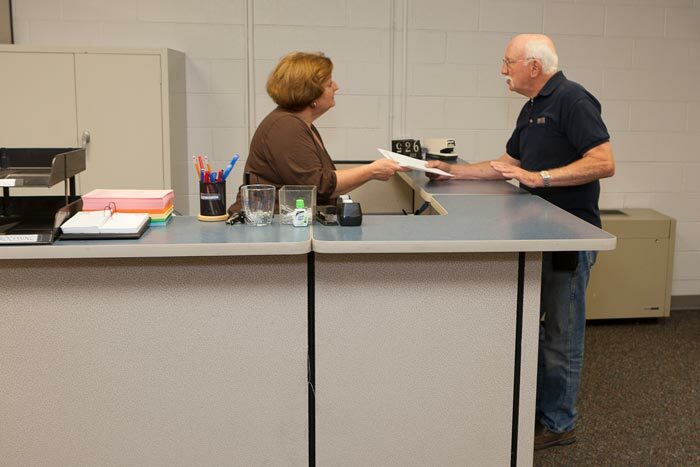 The Word Processing Center staff will be happy to assist you and to provide equipment use instructions. Please come by to meet us. The Word Processing Center is located in Godbey Hall, Room 160, and is open year-round, Monday through Friday from 8:00 a.m. to 5:00 p.m., except on the days designated as college holidays or when classes are canceled due to inclement weather or other emergency. The Word Processing Center does not close for lunch. During fall and spring semesters when classes are in session, the walk-up copier is available Monday through Thursday from 5:00 to 7:00 p.m. except when classes are canceled and on holidays.